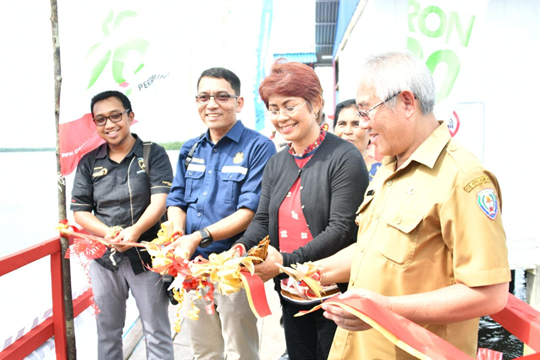 At this point there was a distributor of Fuel One Price of Compact Gas Station 86.976.09 which was inaugurated today, Tuesday (3/26) by the Head of ESDM Research and Development Agency, Dadan Kusdiana, representing the Minister of Energy and Mineral Resources, Ignasius Jonan. On this occasion, Dadan was also accompanied by Members of the House of Representatives Commission VII, Mercy Barends, District Head of Aru Islands District and local community leaders. "I hope that with the presence of this one-price channeling institution, the fuel needs in the Aru Islands Regency can be fulfilled. 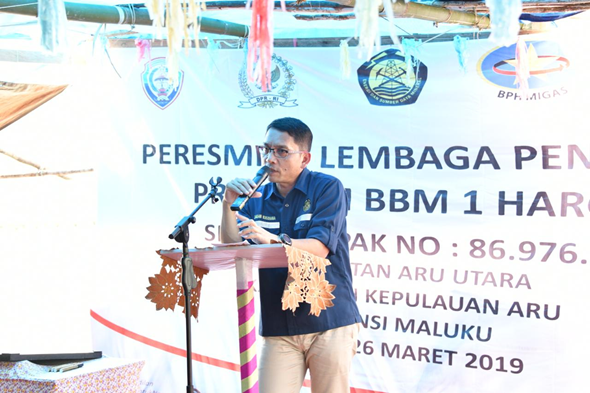 Request the Regional Government and the people of Aru Islands Regency to jointly supervise the availability and distribution of BBM in this one-price distributor so that it is right on target and not "There is no industry or person who enjoys this One Price BBM Program," Dadan said in his speech. Dadan revealed, the One Price Fuel and Oil (BBM) is a testament to the Government's great attention to its people. In addition, Dadan also advised that in the implementation of the Fuel and Oil (BBM) One Price program in the Aru Islands Regency, the Regional Government, Entrepreneurs and PT Pertamina (Persero) could work together and coordinate well in creating a system that would make it easier for people to get BBM fairly. "Do not let things happen that can make it difficult for people who need fuel," he continued. The construction of a Compact Gas Station in the 3T area is not an easy matter considering the geographical location and high transportation costs so that it is necessary to ascertain the exact purpose of the allocation. Previously, the price of fuel in the region was IDR 10,000 per liter for Premium and IDR 10,000 to IDR 15,000 per liter for Solar. "Now people can enjoy the same price as in other regions in Indonesia, Rp. 6,450 per liter for Premium and Rp 5,150 per liter for diesel fuel," said Dadan.